With this third reweighting, the resulting p.d.f. looses finally sign ambiguities, and becomes rather narrow, with respect to the initial space of possibilities. 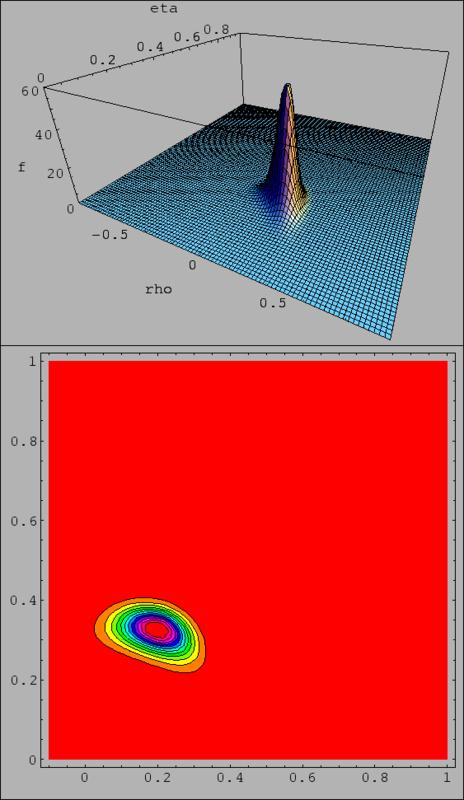 The 3-D plot is shown in Fig. 6. Figure: Probability density function and contour plot obtained by the constraint given by , and (see remarks in text and in caption of Fig. 1 about the interpretation of the contour plot).